Two other adults and 2 children escaped the fire uninjured. 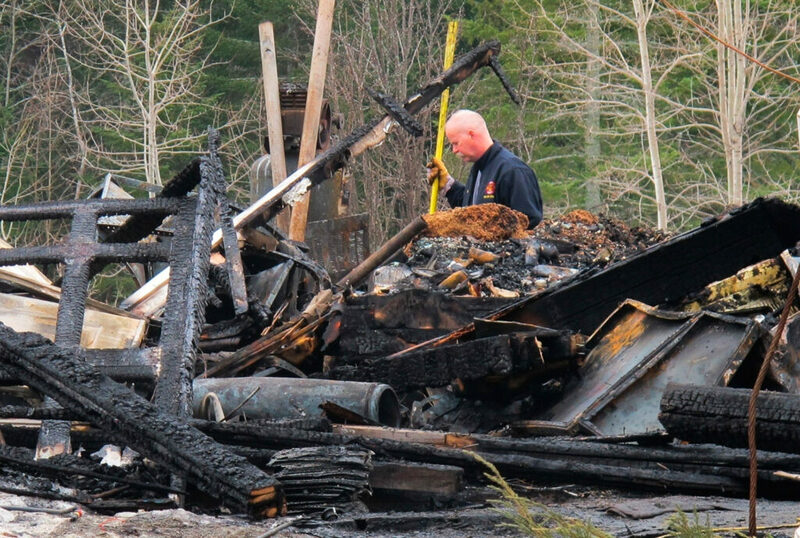 ORLAND — Investigators say a Maine man died when he returned to a burning house to get his dog. Maine Public Safety Department spokesman Steve McCausland says Sam Crawford, 40, escaped with the rest of his family before going back inside Monday evening in the town of Orland. Firefighters recovered his body from the basement about 11:30 p.m. after the fire was extinguished. The property where a house burned is taped off Tuesday in Orland. 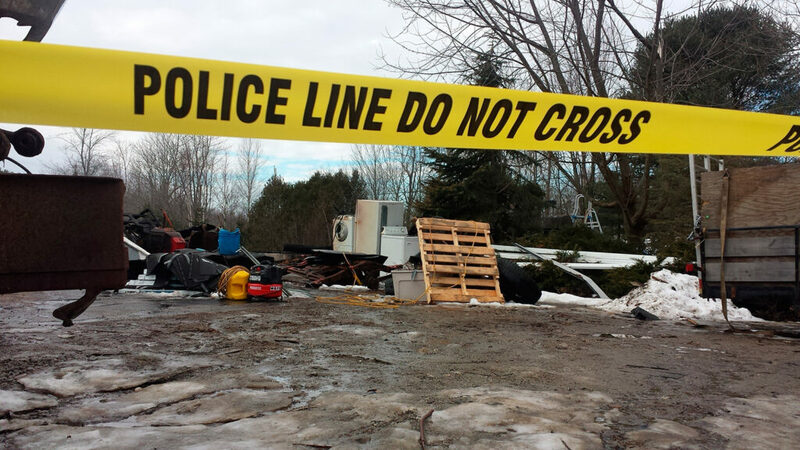 Investigators say a man died when he returned to the burning house to get his dog. Investigators said the fire started in the attached garage of the house shortly after a space heater was turned on. Crawford and four others escaped from the house, and he moved his skidder to a neighbor’s property. When he came back, he told others he was going to look for the missing dog. The dog was not found. The others who escaped the fire were Cassandra Morse, 26, Alex Chaffee, 19, and Crawford’s two daughters — Lillian, 9, and Ella, 5. Assistant Fire Chief Julia Gray says that the survivors told her everyone had escaped but that there were rabbits, cats and a dog inside. Later, she learned someone had gone back in. Firefighters had to use tanker trucks to haul water to the rural site.